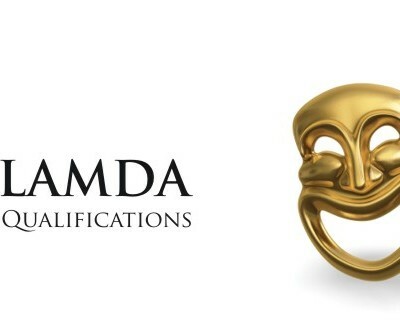 Theatre By Numbers can offer a select range of courses leading to certifications of LAMDA courses. These can be arranged as one to one lessons or group classes as pre arranged up to 6 people. Timetables can be drawn up to suit individuals and each course takes at least 10 sessions in order to prepare for the examinations that take place throughout the country including the North West. Examinations can be taken as solo, duo or combined assessments, which means you can hook up with a friend and share the experience. There are also group examinations if preferred, ideal for social groups trying to find an extra way of developing skills and team building with a certificate to take away and an invaluable skill to boot. Prices start at £25 per hour as one to one sessions and are negotiated for duos and groups. Each course includes a free half hour consultation to discuss the details including length of the course. To contact us for a free consultation please send your preferred contact time and details. Introductory – designed to introduce you to the LAMDA examinations' framework, offering an opportunity for creative expression in a supportive environment; developing communication and memory skills. Speaking Verse and Prose – designed to develop the skills necessary for effective oral communication of the written word; developing interpretative and technical skills and knowledge of literature. Reading for Performance – designed to develop the skills necessary for reading aloud to an audience and devising a programme of material for performance; developing interpretative and technical skills, knowledge of literature and ability to devise a material for performance. Using Spoken English – designed to develop the skills necessary for effective oral communication in English. This examination will benefit native English speakers as well as those for whom English is a second language; developing interpretation: oral language skills, technique: communication skills, knowledge: listening skills. Speaking in Public – designed to develop the skills necessary for effective oral communication and public presentation; developing interpretation: oral language skills, technique: technical skills, knowledge: knowledge of the presentation process. Acting – designed to develop the skills necessary to communicate dramatic text to an audience; developing interpretative skills, technical skills, knowledge of the performance process. Devising Drama – designed to develop the skills necessary to devise a dramatic performance and present it to an audience as well as delivering dramatic text; developing interpretative skills, technical skills and knowledge of dramatic structure and the devising process. Mime – designed to develop the skills necessary to create a performance using non-verbal techniques. These examinations also provide learners with the opportunity to develop skills which support the delivery of dramatic text; developing interpretative skills, technical skills and knowledge of dramatic structure and the performance process.